Who is in the duo, how did you meet, where are you from and how did you come up with the duo name? M: We are Morgan and Gemma and together we are Saint Sister. We’re both from the North of Ireland but we met in Dublin, just before we graduated, while singing in the college orchestra. I’m not sure what drew me to Gemma but I guess I just had an instinct that we might connect musically and emotionally after hearing her sing and hanging out with her during the orchestra rehearsals. One day I asked her for coffee and within the hour we were already thinking up possible band names. The final iteration of our name kind of came about in two halves; first my mum suggested O Sister, which we used for a while. But then after discovering another act already operating under the same guise, Gemma came up with the Saint. M: Growing up I was obsessed with all the great song writers, Johnny Cash, Leonard Cohen and Joan Baez. It was only later on in my teens that I discovered Joni Mitchell but I’ve loved her from the very first moment I heard her. No one comes close to Joni. G: We like to make use of space in our arrangements, fusing minimalist electronics with traditional instruments. 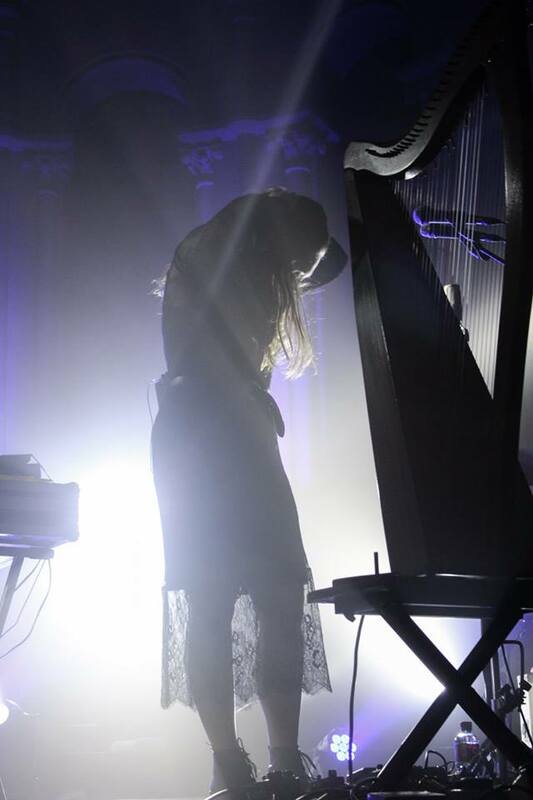 The harp and our two voices are generally always at the core, and most of our songs can be stripped back to these elements. When we began writing together the songs were heavily folk influenced, but were constantly trying to push the sound and experiment. M: Our new single is called 'Twin Peaks' and it was borne out of a very instinctive reaction towards a friend who was going through a difficult patch. I was hoping to comfort them by listing all the things that we love to do together; watching Twin Peaks, listening to Joni Mitchell and Judee Sill, dancing and eating fifteens (a Northern Irish tray bake). All the references throughout the song are just a means of distraction. It's not necessarily something I'd recommend; shutting out the world and ignoring all your problems, but at the time it was the only kind of advice I could muster. G: Music in Ireland is buzzing at the minute, there are so many great acts north and south of the border. There's a real diversity to it too; lot's of great folk and singer-songwriters, some great hip-hop and grime with artists like Mango X Mathman and Kojaque. There's a big electronic scene in my hometown Derry, with people like Or:la and Ryan Vail doing amazing things. M: We're looking forward to a busy few months ahead. Most importantly, we're releasing our debut album in October and starting a four month tour across America, Australia and Europe. We cannot wait to share our new songs and to play in front of a new crowd every night, especially since we'll be heading to loads of places we've never been before. G: We're working on something with one of our favourite artists at the minute, which we're really excited about and can't wait to announce. We've been on backing vocal duties recently with a few other artists; Lisa Hannigan, Ciaran Lavery and on Paddy Hanna's new album. It's really nice getting to sing on other people's music too and we'd love to do more of that. M: We've definitely had some embarrassing moments on stage (falling over, forgetting words, hitting your face off the mic) but nothing that doesn't happen to everyone at some point. Things often go wrong, especially at the start when you're encountering a lot of firsts; the first time we had dry ice on stage Gemma thought an instrument had caught fire and she nearly stopped the gig. Playing live is one of our favourite things and as we're doing it more, we're getting more and more relaxed on stage and better able to cope when things go wrong or take an unexpected twist. I've started to enjoy those moments that used to terrify me. G: We require approx. 6 cups of tea each on any given day if we're going to get anything done! 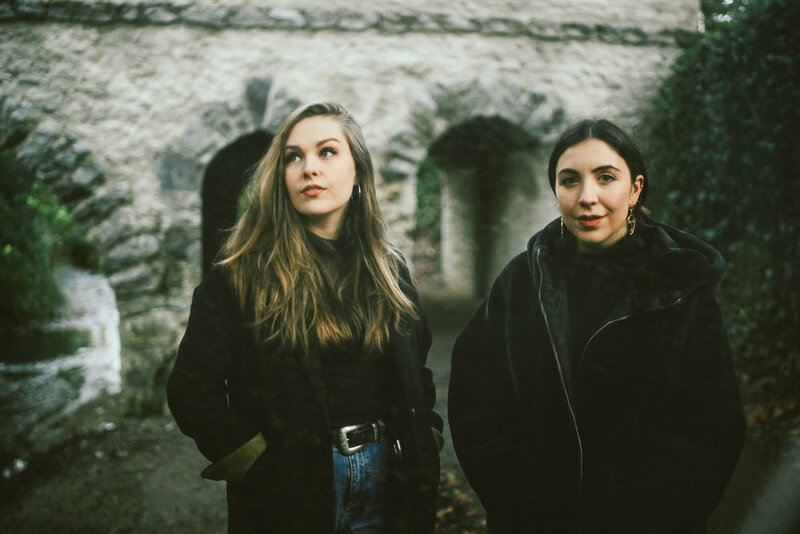 You can find out more about Saint Sister via Facebook, Instagram, Spotify, Twitter or YouTube.